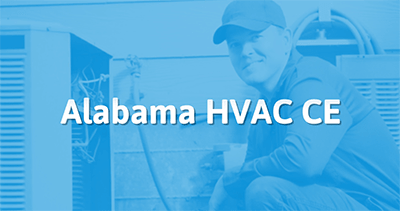 This course has been designed for Alabama licensed HVAC mechanics and contractors, and consists of 4 hours continuing education instruction. The class is intended to guide the student through the changes made from the 2012 Uniform Mechanical Code to the 2015 Uniform Mechanical Code. It will start with a short introductory section on the structure and organization of the Code, and how to navigate the changes. Then it move into some of the most important sections, which will include subjects like exhaust systems and ventilation air. Then the student will move into duct systems, combustion air and chimneys and vents. Finally, the student will be given instruction in Hydronics, in areas such as PEX, protection of potable water supplies, and installation testing and inspections. Then the class will be concluded. This course includes a Final Exam of 30 questions. Very good review of the UMC and recent changes. very good covered a wide range of topics. to much information covered took way too long, this should be worth 8 plus CE's. Break it up, be real.